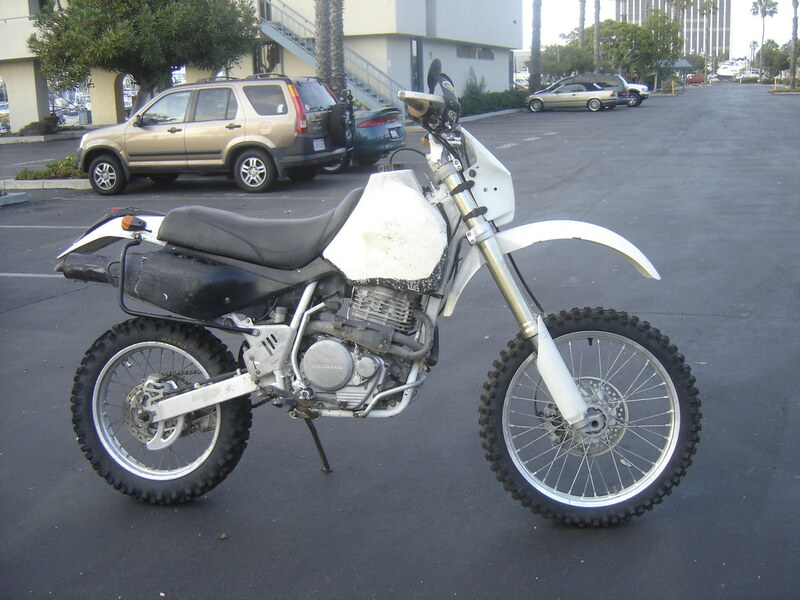 The CRF front end conversion is fairly simple, but it isn’t cheap. The popular choice is the entire front end from a CRF450, 2002 or later model bike. You’ll want the forks, trees, wheel, and brake. The triple trees are not a direct swap – you have two choices. 1.) Take the CRF steering stem and have it machined down to fit the bearings of the XR. 2.) Buy the steering stem made by Emig Racing for this specific swap. I talked to 2 machine shops and they were going to charge $200 to machine the stem to my specs. Emig Racing makes a stem to the exact size needed and sells it for $190. I bought from Emig and had my local bike shop press the stem into the CRF triple trees. After that, it bolts right up. You will also need to have a couple little nubs of metal welded onto your headstock for the steering stop. It’s a great swap that pretty simple to do. I would highly recommend the Emig Racing steering stem. It worked awesome.